Bath Quays will include development sites on both sides of the river. 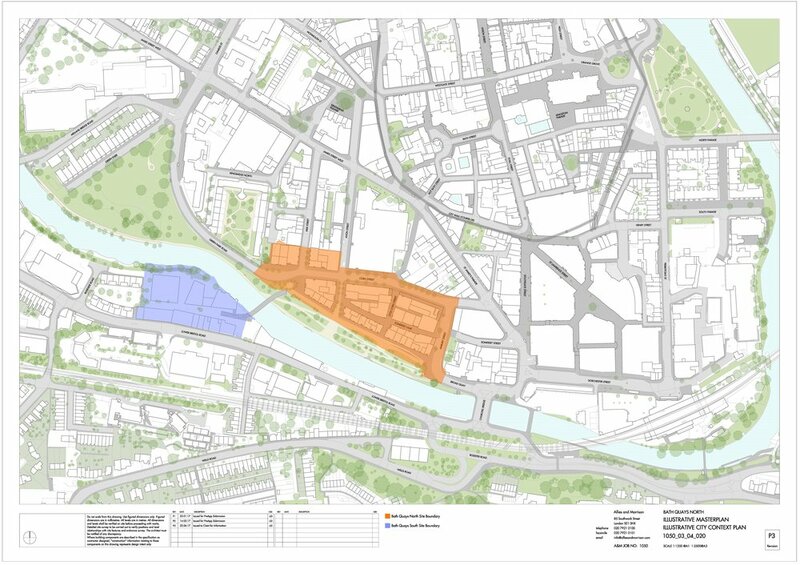 On the north side (Bath Quays North), in the current Avon Street car park location, a masterplan has been developed for an office led scheme with a public promenade and a landscaped park beside the river. The Council are now seeking a development partner for this site. On the south of the river (Bath Quays South), planning permission was secured in May 2017 for the historic building of Newark Works to be brought back into use as a shared campus for modern creative and hi-tech businesses, alongside brand new modern office and residential developments. Both sites will be linked by a new pedestrian and cycle bridge - Bath Quays Bridge - which was granted planning permission in March 2017. Flood defence works to both sides of the river and landscaping works to create a new riverside park along the north riverbank are due for completion in 2018. Just 5 minutes walk from Bath Spa station, Bath Quays is ideally situated close to the city centre and is already home to SETsquared the world's no 1 university incubator, BMT, Buro Happold, Future Publishing and Zynstra. With the addition of the new development sites, Bath Quays will become Bath's commercial and business centre. for updates as the proposals are developed.